The visit of an eight-member Pakistani judicial commission to India to cross-examine witnesses of the Mumbai terror attacks has been delayed by four days due to "non availability of flight". "We were supposed to leave on September 7 but the PIA flight on that day has been cancelled. Hence, we would be leaving on September 11," Riaz Akram Cheema, part of the team defending the accused, told PTI. He said the anti-terrorism court in Islamabad will be informed during the hearing on Wednesday. "The window that had been given to us was between September 3-18," Cheema said. 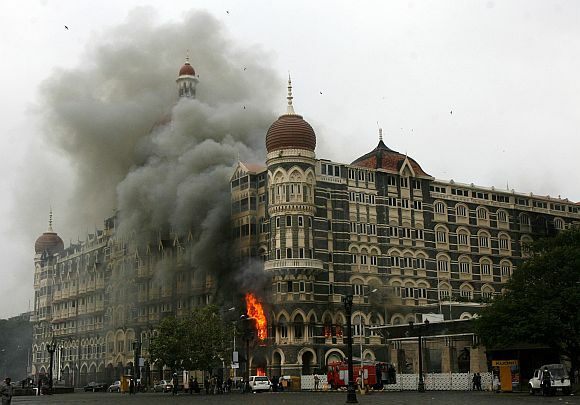 Earlier in the day, the hearing in the Mumbai attack case was adjourned till tomorrow after the prosecution said the law ministry is yet to issue gazette notification about departure of judicial commission to India. During the hearing, Special Prosecutor M Azar Chaudhry informed the court that that gazette notification will be submitted in the court on Wednesday. Cheema had told the court that commission needs at least four days to cross-examine the four witnesses in Mumbai. Hearing this, the Judge Atiqur Rehman adjourned the hearing till on Wednesday. The judge had on September 1 ordered the prosecution to get a gazette notification issued about the commission's visit before the next hearing. "The prosecution told the court that the notification would be issued today (on Tuesday) and it would be submitted before the court tomorrow (on Wednesday)." The eight-member Pakistani judicial commission was scheduled to visit India from September 7 to cross-examine witnesses of the Mumbai terror attacks in order to take forward the prosecution of seven suspects. The witnesses are the magistrate who recorded Lashkar-e-Tayiba member Ajmal Kasab's confessional statement, the chief investigating officer and two doctors who conducted the autopsy of the terrorists who carried out the Mumbai attacks in November 2008. This will be the commission's second visit to India. A report submitted by the panel after its first visit in March 2012 was rejected by an anti-terrorism court as the commission's members were not allowed to cross-examine witnesses.